Campaigners have slammed the Scottish Government for backing a ban on smacking as they revealed a new opinion poll which shows three quarters of parents oppose the move. Be Reasonable Scotland has demanded a new consultation on the issue as the previous exercise was carried out during the summer when families were on holiday. Yesterday, the Scottish Government staged a dramatic U-turn on its previous position and confirmed plans to “ensure” the smacking ban proposal in a Members’ Bill sponsored by Green MSP John Finnie becomes law. 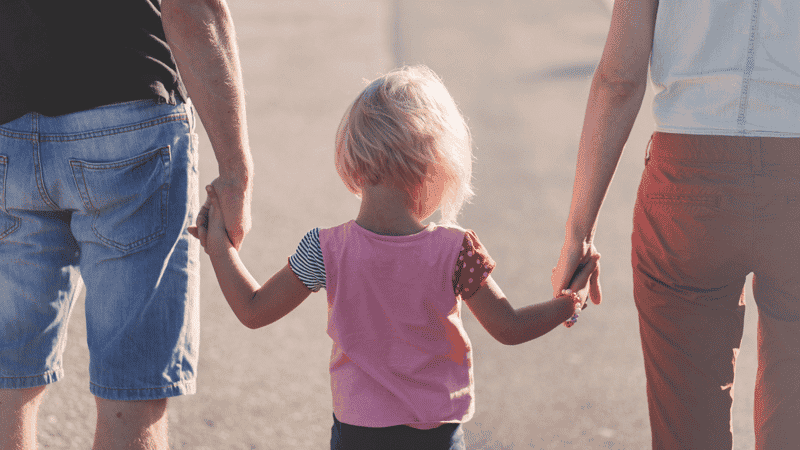 Be Reasonable Scotland, backed by The Christian Institute and The Family Education Trust, has published polling that shows a smacking ban is not supported by parents or the wider public. The ComRes poll of more than 1,000 Scottish adults also found that three in four of those questioned thought the ban would not help protect vulnerable children. 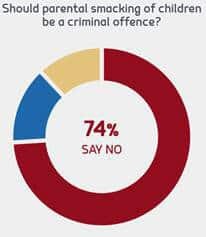 When asked to consider the statement, ‘A ban on smacking would likely criminalise reasonable parents while doing little to stop bad parents from abusing children’, 75 per cent agreed, with just one in eight, (13 per cent) disagreeing. The campaign group heavily criticised the Scottish Government for ditching previous promises not to drop the defence of reasonable chastisement. It warns that the proposal risks painting thousands of ordinary parents as no better than violent thugs and child abusers, merely for disciplining their children, and leaving them facing fines or jail. Lowri Turner, a spokesmum for the Be Reasonable campaign, says: “The people calling for this change are using hysterical and manipulative language. They’re trying to make out that a gentle smack from a loving mum is the same as beating up your kids. In a further statement Be Reasonable Scotland said: “Criminalising parents for smacking their own children is a gross intrusion on family life by politicians who are totally out of touch with real people. “If the Government really want to own this wildly unpopular plan, then the first thing they need to do is hold a proper consultation. Finnie’s private member’s consultation was ignored by the public because the Government had said it wouldn’t bring forward legislation for a ban. They can’t be allowed to bring this in by stealth. Now they’ve U-turned, they need to give the public a chance to say what they think.